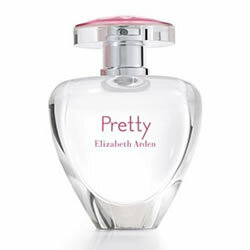 Elizabeth Arden Pretty is a spirited floral fragrance of exceptional charm. The floral heart is surrounded by a melange of fruits, wrapped in a well-rounded background of serene woods. At its core is a premiere ingredient, Petalia.